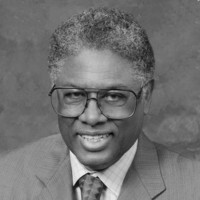 A hostile review of my new book — "Wealth, Poverty and Politics" — said, "there is apparently no level of inequality of income or opportunity that Thomas Sowell would consider unacceptable." When twice as many Asian students as white students pass the tough tests to get into New York's three highly selective public high schools — Stuyvesant, Bronx Science and Brooklyn Tech — does that mean that white students are denied equal opportunity? As for inequality of incomes, these depend on so many things — including things that no government has control over — that the obsession with statistical "gaps" or "disparities" that some call "inequities" is a major distraction from the more fundamental, and more achievable, goals of promoting a rising standard of living in general and greater opportunity for all.